, Jerry Dischler, VP of Product Management for AdWords will share a brand new set of innovations with you live on the Inside AdWords blog. Register for the livestream here. Building on the success of enhanced campaigns, Jerry will announce a number of new features that help you use context to reach customers in even more effective ways. We’ve designed new tools so you can increase awareness and engagement everywhere your customers are online – from the web, to the mobile web, to mobile apps. And when it’s time to manage your campaigns and measure performance, we want to help you do so efficiently in AdWords with new functionality designed for the multi-screen world. These AdWords innovations are the result of countless conversations we’ve had over the past year with advertisers, both large and small. Based on your feedback, hundreds of product managers and engineers worked hard to build these new products. Simply put, we built these new products for you. We hope you’ll join the April 22 livestream of our announcements featured here on the Inside AdWords blog. Register for the livestream here. Until then, follow us on our +GoogleAds page for sneak previews of what’s to come. Use hashtag, #StepInsideAdWords, to join in on the conversation. It’s an exciting time to be a performance marketer. When we combine the creative magic of marketing with technology that’s available anytime, anywhere, and on any device, we can connect with customers in more innovative and relevant ways than ever before. We are constantly working to improve AdWords, and on Tuesday, April 22, 2014 at 9am PT, Jerry Dischler, VP of Product Management for AdWords will share a brand new set of innovations with you live on the Inside AdWords blog. Register for the livestream here. , a new format for search ads that provides detailed consumer opinion data. Consumer ratings annotations highlight one or more strongly rated aspects of your business as part of your ad. For example, if you're an insurance company, this annotation may be focused on claims handling. If you're an airline, it may highlight your rewards program. Testing with our beta advertisers has shown that consumer ratings annotations can increase click-through rates (CTR) by 10% on average. Many advertisers have already seen the positive impact of this format. Brian Borkowski, Director of Digital Marketing at Farmers Insurance Group, says, "Consumer ratings annotations help us stand out from competitors and attract new customers. When we looked at our ads that displayed these ratings, we saw an increase in CTR, which speaks to the awareness, trust and impact from this format." Data for this annotation comes from hundreds of thousands of surveys we've run using the Google Consumer Surveys platform. Google Consumer Surveys provides a controlled platform for sampling consumer opinion, helping to avoid some of the potential biases and risks with other types of open-to-everyone review platforms. Each rating is based on at least hundreds of completed surveys, with the average above 1000. We plan to regularly refresh the survey data to keep the ratings current. For the last few years, we’ve been working on bringing trust and transparency to your search ads with formats like seller ratings and review extensions. Consumer ratings annotations will soon start showing with several hundred advertisers' search ads in the US, UK and Canada. We hope to expand availability to more advertisers in the future, so drop us a line if you’re interested in showing consumer ratings annotations with your ads. To learn more about consumer ratings annotations, check out the AdWords Help Center. Whether users are searching for clothes, car insurance, or a holiday, they have never had so much choice. And as users increasingly rely on the opinions and experiences of others to help them choose, a brand's reputation matters more than ever before. That's why we've developed ways to show ratings, reviews and social endorsements for your business as part of your search ads on Google. This kind of information makes your ads more useful to potential customers and can improve ad performance. Over the next few days, we'll be rolling out consumer ratings annotations, a new format for search ads that provides detailed consumer opinion data. Consumer ratings annotations highlight one or more strongly rated aspects of your business as part of your ad. For example, if you're an insurance company, this annotation may be focused on claims handling. If you're an airline, it may highlight your rewards program. that we began enforcing the unique product identifier requirements to improve data quality on Google Shopping. The new specifications help us serve better Google Shopping results to users while creating more opportunities for merchants. Specifically, unique product identifiers help us create one listing for a product with its various sellers, allowing users to discover a wider range of products on Shopping and easily navigate to a retailer of their choice to purchase the product. In order to meet the unique product identifier requirements, you must provide comprehensive and accurate data. We highly recommend making the necessary changes to comply with data quality requirements as better data quality is a key lever to improve your Product Listing Ads performance. Last year we began enforcement by (1) disapproving products that did not have data in the feed for the unique product identifier attributes - GTIN, MPN and/or brand (2) demoting products that incorrectly used the identifier_exists attribute and (3) disapproving products that provided invalid GTINs that didn’t conform to standard GTIN specifications. Soon we will start to (1) disapprove products with incorrect GTIN, MPN and brand and (2) globally demote products that incorrectly use the identifier_exists attribute. We will continue to ramp up enforcements to find and disapprove products with incorrect GTIN, MPN and brand data in the coming months. We recommend reviewing product warnings and disapprovals in the Data Quality and Data Feeds tabs in Merchant Center. For pending product disapproval launches, the violations may show up as warnings and eventually show as errors in the UI after the enforcement launch date. For products demoted due to incorrect use of ‘identifier_exists’ attribute, please review your products where it is set ‘false’ to make sure you marked so only for custom goods. For more information, please review the unique product identifier requirements and the latest product feed specifications to make the appropriate changes to your data. You can also review our previous office hour session to help merchants with these new requirements. Last year we announced that we began enforcing the unique product identifier requirements to improve data quality on Google Shopping. 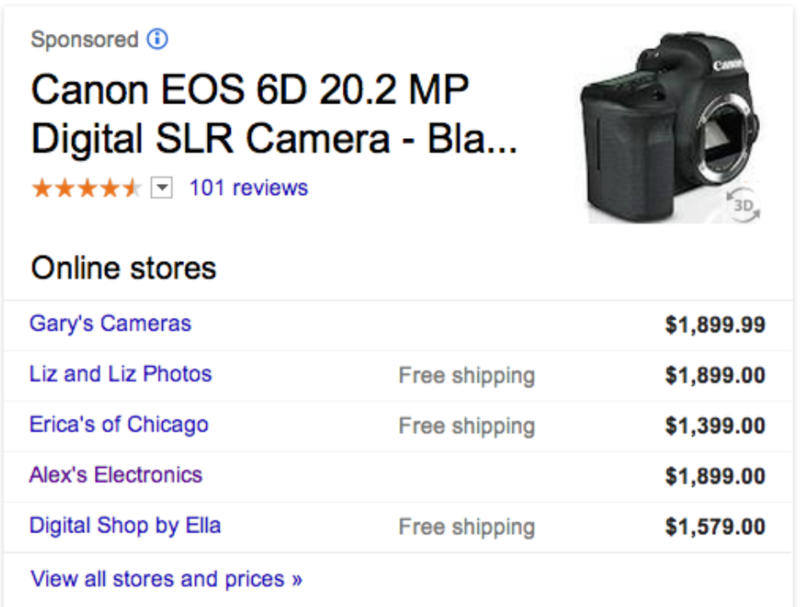 The new specifications help us serve better Google Shopping results to users while creating more opportunities for merchants. Specifically, unique product identifiers help us create one listing for a product with its various sellers, allowing users to discover a wider range of products on Shopping and easily navigate to a retailer of their choice to purchase the product. to all Product Listing Ad (PLA) advertisers in February. Shopping campaigns offer a streamlined, retail-centric advertising experience with robust reporting and insightful competitive metrics like benchmark data and impression share. Today, we’re excited to announce that you can now create and manage your Shopping campaigns at scale with the AdWords API. We are working with external agencies and search management platforms to add support for Shopping campaigns. As part of our efforts to help you connect with consumers and promote your products online, we introduced Shopping campaigns to all Product Listing Ad (PLA) advertisers in February. Shopping campaigns offer a streamlined, retail-centric advertising experience with robust reporting and insightful competitive metrics like benchmark data and impression share. It’s easy to manage your advertising, even when you’re away from the office. 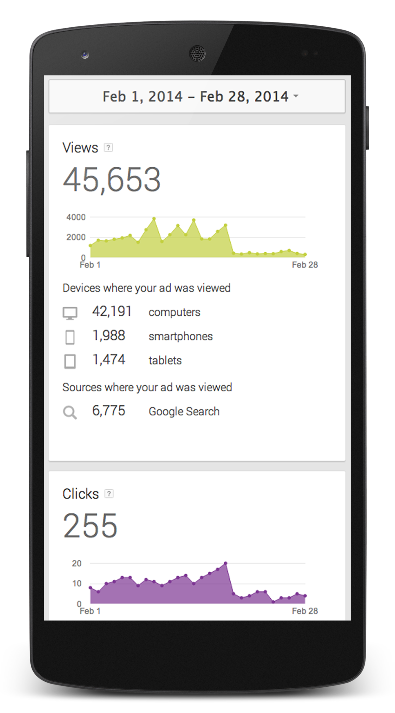 For example, to check how many customers have seen your ad from their tablet (while using your own phone) just look under the “Views” graph. Now you can see more details about how users interact with your website after clicking your ad by linking your Google Analytics and AdWords Express accounts. Once you connect your accounts, you’ll see a new card on the AdWords Express dashboard (as well as in your Analytics account). To learn how to link Analytics and AdWords Express, visit the help center. If you have additional feedback on this new design, please let us know. And if you haven’t yet started using AdWords Express, you can sign up today. When you log in to AdWords Express today, you’ll notice that it’s now easier to find the information that’s important to you, whether you’re on your phone, tablet or laptop. 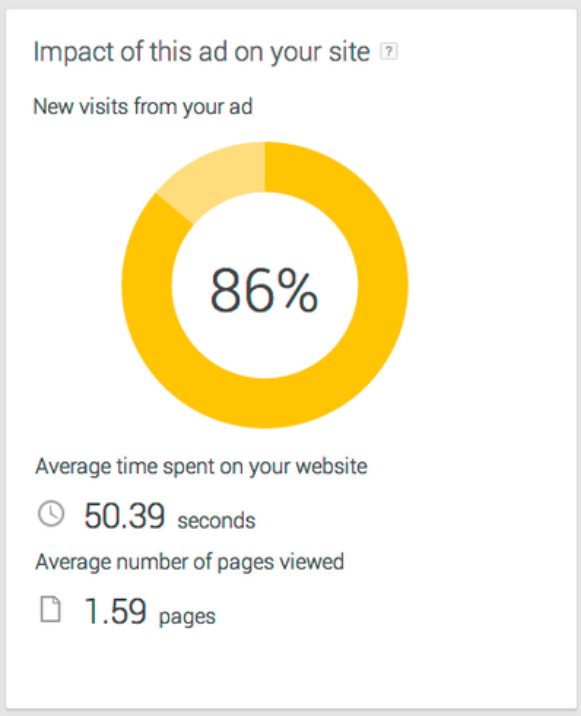 After gathering feedback from AdWords Express users, we’ve redesigned the dashboard with ad performance stats front and center.